The service was good and fast and reasonably priced. The guy who answered the phone and who came was a bit terse and not very good at answering questions, but he got the job done in a timely and efficient manner and stuck to his quote. 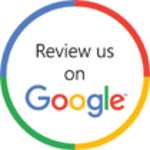 Are you looking for fully honest and trustworthy reviews for every locksmith in Toronto? On this page of our company site we have selected feedback from our satisfied customers. We admit that every review delights us very much and stimulates us to improve our daily work in order to be able to respond to ever higher consumer expectations. We assure you that every review concerned with your trusted locksmith in Toronto is given spontaneously and unselfishly. You do not have to trust us when we say we are the best professional locksmiths in Toronto and the surrounding area. Believe in the satisfaction of our work spoken by people like you who are looking for no moral and financial benefits. If you have already used our high quality services and are very satisfied, you can leave a review to help others locate a professional locksmith who fully meets their high requirements and who offers affordable products and services. You yourself may notice that some of the reviews on the page and about us as a professional locksmith in Toronto contain contact details so you can get a personal recommendation from people we have left pleasantly surprised with our quick and adequate work. Do not hesitate to contact an independent source of information. It is quite understandable for us if you call us because somebody else has praised us. On the Locksmith Care Toronto page, you’ll find the stories of people who have encountered a variety of problems – from inadvertently locked doors to the need to increase protection against thieves and intruders. These reviews will surely help you overcome the worry that you are in a bad situation because, as you will find yourself, many people are confronted with similar to your problems. In our work, we meet daily with countless complicated situations that, after our fast professional intervention, instantly turn into another comic story.